The palette of purples is very wide during the summer season, and they all can be combined perfectly with each other! 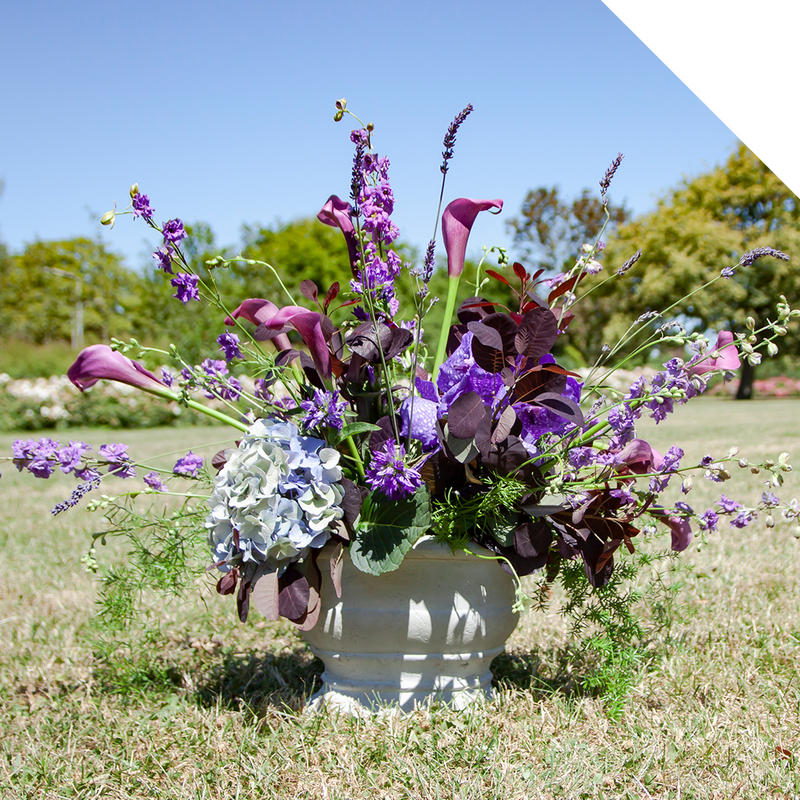 Think of the fantastic Calla Paco, mixed with Delphinium Ajacis Lavender and fresh Lavandula: a feast for the eye! 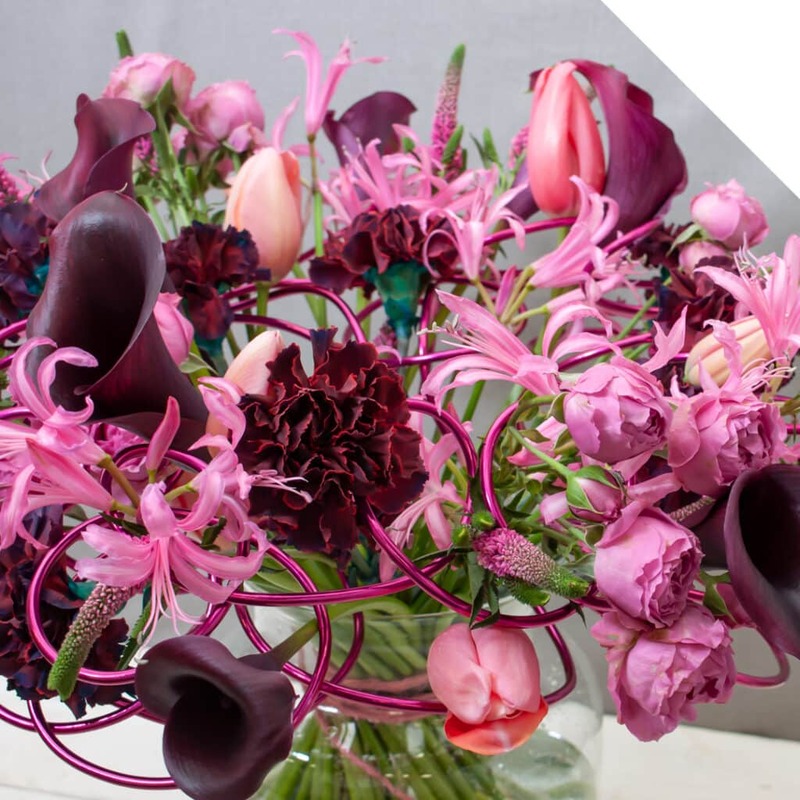 These are just a few of the flowers we used in this amazing luscious purple summer bouquet tutorial; be inspired and create it yourself! Soak the floral foam in clean, fresh water. 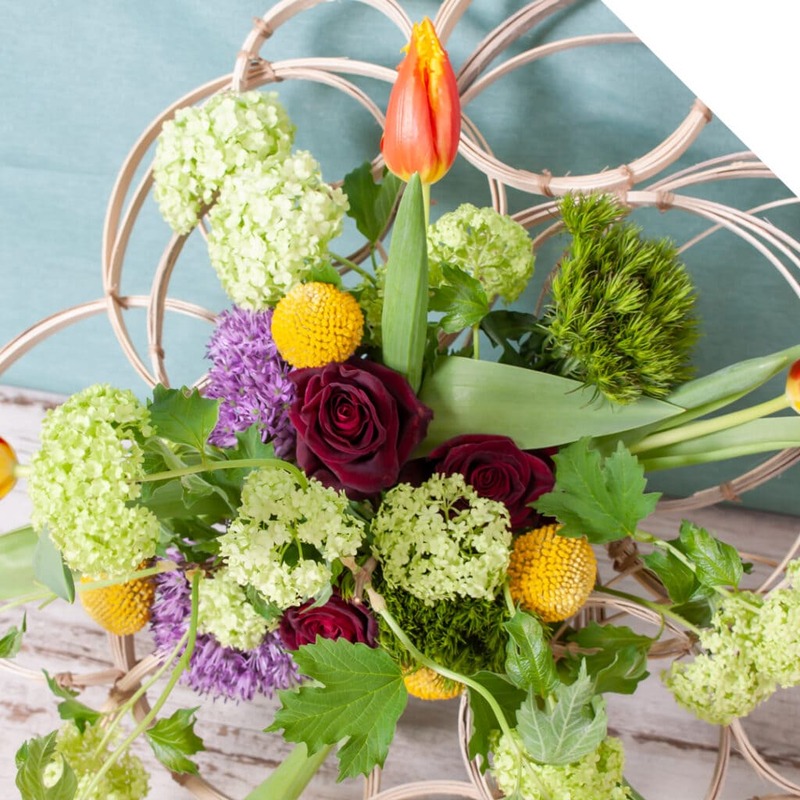 Push the floral foam into the centerpiece vase and cut in shape. Use any excess parts to fill up the gaps. Start with the Asparagus. Push the stem in the center of the floral foam and let the Asparagus stick out of the centerpiece. Now add the Cotinus. Make sure they’re on each side of your centerpiece. Add the Hydrangea and Vanda. Next, add the Delphinium, Calla, and Campanula. Finally, add the Lavandula to your centerpiece. Your luscious purple summer bouquet is now ready for use. Enjoy!